The Supreme Court decided in what appears to be conflicting ways in two cases of access to spiritual counselors during executions. The Supreme Court decided in what appears to be contradictory ways in two cases of access to spiritual counselors during executions. Two Supreme Court decisions just hours before a planned execution. Two decisions only seven weeks apart. Two decisions on the same problem. Except for one, a Muslim was killed without his imam being allowed with him in the execution chamber, and in the second, a Buddhist execution was temporarily stopped because his Buddhist minister was denied the same right. The two seemingly contradictory decisions are so amazing that even the lawyers scratch their heads and offer explanations that they honestly admit are only speculative. 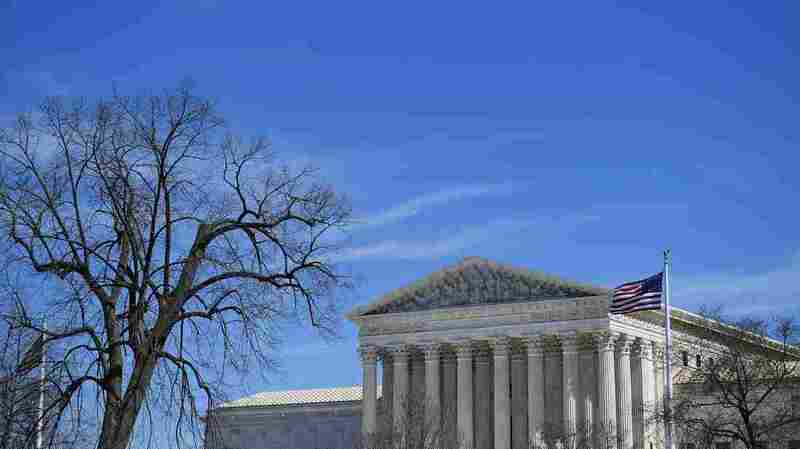 On February 7, the Supreme Court decided with a 5-4 vote that Alabama could continue with his execution of Domineque Hakim Ray, a Muslim man convicted of murder. The 11th Complaint Board had temporarily blocked enforcement because the state prevented the condemned man from having a Muslim imam at his side in the death chamber. Alabama said only Christian prison minister would be allowed. Supreme Court Justice Elena Kagan, who wrote to the four dissenters, called the decision "deeply wrong." Comment from the right, left and center condemned the decision as a violation of the Constitution's prohibition on favoring a religion over another. "The case is another that can be mentioned by those who rightly adhere to two rules of religious freedom in this country – one for Christians and one for all others," said the Baptist Joint Committee on Religious Freedom. "The state's obligation is to protect and facilitate the free exercise of a person's faith, not to seek reasons to refuse him comfort at the moment of his death" wrote David French in the Conservative National Review . "In my 30 years of writing about religious freedom, I cannot remember a case as outrageous," wrote the more liberal professor of Yale Law Stephen Carter, a Bloomberg opinion column. Quickly until the evening of March 28, the court, this time with a 7-2 vote, gave an eleventh-hour stay for execution to Patrick Henry Murphy, a Buddhist prison in Texas who had planned to die that night and who had been denied a Buddhist religious advisor by his side in the death chamber. In the first, the conservative right majority said the Muslim prisoner waited too long to ask for an imam. The implementation date was set in November, the court said, and the condemned man waited until 10 days before his scheduled execution to ask his religious counselor to be with him. Why did his lawyers not make the request earlier? "We didn't know," said John Anthony Palombi, the federal public defender, who first met Ray two weeks before the execution. In the first meeting, the condemned man told the lawyers that he wished his imam was present with him when he died and that the workshop had told him one day earlier that it would not be possible. Palombi notes that Alabama does not have a public execution protocol, and Ray had believed it because his imam had been cleared to visit him regularly in his cell, including the holding cell 20 meters away the death chamber, the imam could also be with him in the death chamber. Not so. In court, Alabama said that its protocol stipulates that only employees in the correctional department, including a Christian minister, are allowed in the death chamber. Prison officials cited security issues and said that a non-worker had to interfere with the process or weak. It was not enough for the 11th Circuit Panel of the Judges, which was held on 6 February to consider the issue of religious discrimination. One day later, the Supreme Court raised the stay without explanation, except to say that Ray waited too long to object to his imam's exclusion. The court's opposite ruling came seven weeks later in the case of Patrick Henry Murphy, a Buddhist who was to die in Texas. After learning the Ray decision, Buddhist Murphy made his request that his religious counselor be with him on scheduled execution 30 days later. Rev. Hui-Yong Shih had long been allowed in prison to advise Murphy. He was even in his cell, only five or six steps from the death chamber, the day Murphy was to be executed. Texas, unlike Alabama, has a public execution protocol that allows a condemned prisoner to be "accompanied" by his religious counselor for execution. But the state interprets this language to include only religious advisors working for the Texas Department of Criminal Justice. There is a Christian minister who qualifies and an imam, but not a Buddhist. Murphy's lawyer, David Dow, of the University of Houston Law Center, could not have been more surprised when his customer, unlike Ray, was spared the week, temporarily. This time, the Supreme Court said that Texas could not execute the execution unless the state appealed to a full hearing on the case before the judges, or unless the state allowed Murphy to have with him in the death chamber either his Buddhist religious adviser or another Buddhist state minister choice. Justices Clarence Thomas and Neil Gorsuch declined. They would have let the execution go on. Justice Brett Kavanaugh, who writes for himself, said that in his opinion, the state should treat "all" churches. This means that he said that either the condemned, regardless of faith, must be allowed to have a religious counselor of the same faith in the death chamber, or all religious counselors should see the performance of a separate room with other witnesses. "The choice is up to the state," he said. Normally, cutting the legal salami is sparsely unusual in the Supreme Court, but it is almost unheard of to have two such deviant results in two cases within a few weeks. Neither the lawyer Dow nor the lawyer Palombi had what he found to be a satisfactory explanation.